What Can Home Alone Teach Us About Home Security? Home Alone debuted in 1990, and more than 25 years later is still a classic story of thieves, the ingenuity of kids, and the love of family. Kevin McAllister is famously left home alone as his whole extended family takes a flight to Paris to celebrate the holidays. While Kevin basks in his newfound independence, he doesn’t realize that he is a target for two not-so-bright burglars who are eyeing the family home. There are many things to be learned from this fictional story of burglary, and while we would never change anything about Kevin’s victorious outcome, preparing for a real-life home invasion should go a little differently. Movie:The burglars in the original Home Alone movie were casing the neighborhood for weeks to find those families that would be out of town during the holidays. Joe Pesci’s character even impersonated a police officer to try and glean information from the McAllister household on the eve of their departure. Pesci’s Harry Lime and Daniel Stern’s Marv Merchants knew the timing of all of the neighborhood’s automatic lights, and were looking for the perfect opportunity to break into the best home in the neighborhood, the McAllister’s (or, as Harry puts it, “the silver tuna”). Knowing that the McAllisters were going to be in Paris gave them the opportunity to pull off their big break-in. The bottom line is burglars are looking for any chance to access your home and steal your belongings. Today: While the dedication to casing the neighborhood may be exaggerated in Home Alone, burglars are definitely looking to see who is out of town. Today, unlike in the 90s, social media is a convenient way for a thief to see who is out of town. Advertising that you are on the beach on a tropical island means that your home is vacant and vulnerable. Don’t broadcast when you will be out of town, especially not on social media. Movie: One iconic scene in Home Alone shows Kevin attempting to convince Harry and Marv that his parents really are home, and that the house is occupied. He crafts a genius party scene inside the house that features a Michael Jordan cutout riding by on a toy train, and other moving silhouettes that are supposed to trick the thieves into thinking the McAllister home is a lost cause. While he temporarily succeeds, he can’t keep up the charade for long, and Harry and Marv will be back. We would never want Kevin to have skipped this step, but in real life it isn’t a practical solution! Today: There is no need to stay up all night creating moving shadows to make your home look lived in. With automatic timers that turn on lights, you can ensure that your home looks lived in even when you aren’t there. And with new wireless home security systems, you can control your lights remotely, and turn them on and off whenever you want. Today: Letting your neighbors know you will be gone can be helpful in enlisting their help if anything out of the ordinary happens at your home. While no substitute for a trusted home security system, a neighbor can bring in the mail, water plants, and feed the pets, all while keeping an eye on your home. 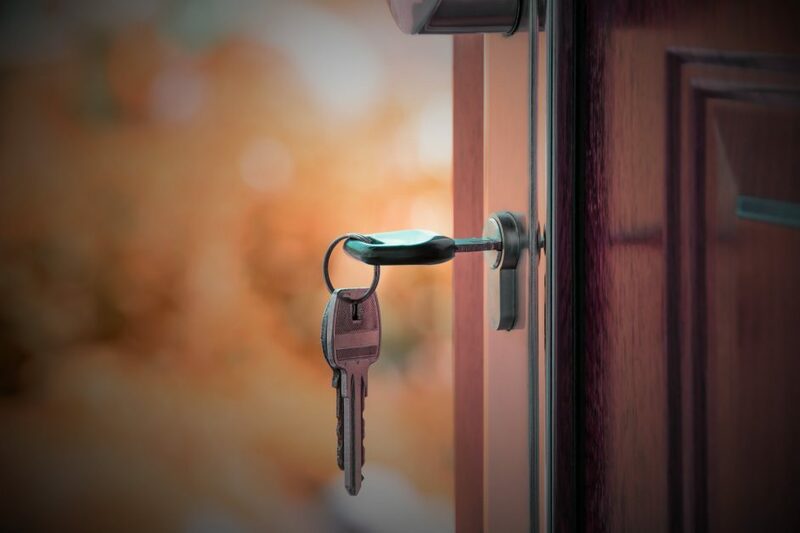 Developing good relationships with your neighbors can help prevent a break-in. Additionally, dispelling any crazy rumors about the old man next door could help your kids be a little less terrified. Today: For starters, the McAllisters should have been more concerned if they really did leave the garage door open, as this would be the perfect entry point in their home for a potential thief. Seeing as they didn’t seem to know any neighbors very well, there might have been no one to check on their garage door for them and possibly close it. If the McAllisters were in the present day, they could have used a monitoring system through their phone to wirelessly know if the door was open, and remotely close it if it was. 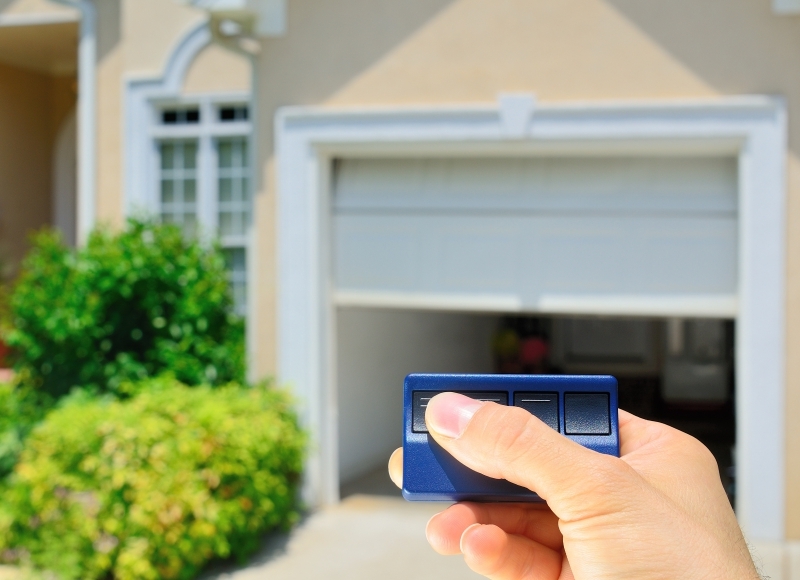 Mistakes happen, but with newer technology you never have to wonder if a door, window, or garage door was left open. Movie: Kevin needs to craft the perfect plan to thwart Harry and Marv’s attempts to gain access to his home: “This is my house and I have to protect it!” His admirable courage and wits have him create an elaborate system of traps and hazards that culminate in arguably the best scene in the whole movie. As Harry and Marv try to get inside they are met with countless traps: heated doorknobs, hot irons to the face, broken ornaments, a blow torch to the top of the head, glue and feathers, a staple gun, a BB gun in the worst place possible, iced over slippery steps, tar on the steps, nails through the feet, electrocution, and even a tarantula! While Kevin must be applauded for his ingenuity and tenacity, (“You guys give up? Or are you thirsty for more?”) and this scene is what makes the movie, a real break in could be thwarted in much safer ways. Today: There are many things that could have impeded the plans of Harry and Marv, the first of which would have been just locking the doors! All of the doors and windows in the McAllister household appeared to have been unlocked, and this is just inviting trouble into your home. Motion sensors could turn on to alert a burglar that your home is protected, and a home security system sign in your yard also advertises your home as an unappealing target. A home security system would have sounded, and the police would have been notified before all of Kevin’s booby traps could have been executed. Harry: You did it again didn’t you? You left the water running. What’s wrong with you? Why do you do that? I told you not to do it. Marv: Harry, it’s our calling card! Marv: All the great ones leave their mark. We’re the wet bandits! Marv’s insistence that they leave their mark, which was all of the faucets running and flooding the home, resulted in homes around the McAllister neighborhood sustaining damage while the homeowners were on vacation. He loved the idea that they would be known for this quirk, and that it would make them stand out in the burglary world. 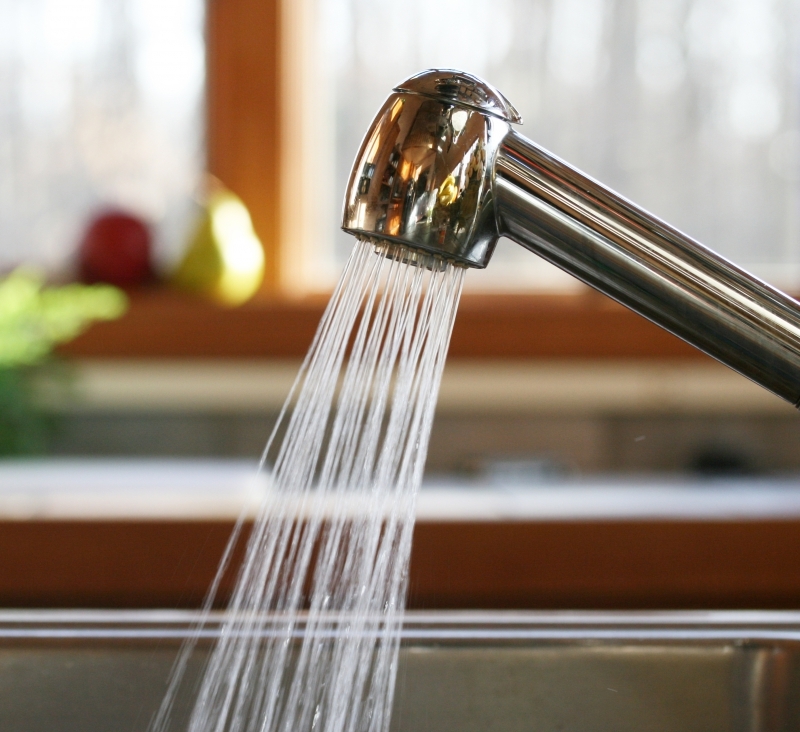 Today: Today there are water sensors that can be used in conjunction with your home security system to detect leaks. The wet bandits wouldn’t be able to wreak havoc on a whole neighborhood; the homeowners would be alerted and have their home inspected. This is just another great perk of newer security features! Unfortunately for the wet bandits, their “calling card” actually just let the cops know all of the houses they had burglarized. Movie: How times have changed! In Home Alone, Peter and Kate McAllister have no way to get in touch with Kevin to see if he is okay. This is before the dawn of cellphones, and the Kevin of today would probably have his own phone and computer and be able to send a quick email: “I’m fine, can I have your credit card number?” The panic that Kevin’s parents felt came from having no way to talk to Kevin, or see what was going on in the house. And truthfully, things were much worse than they could have even imagined. Today: New home security systems allow you to have video monitoring of your home—even from your smartphone! Peter and Kate could have looked in on Kevin and been in contact with him the whole time. They would have known what he was doing, they could have seen Harry and Marv attempting to access the home, and could have alerted the authorities way earlier (well, the cops in the movie weren’t actually helpful). So while a home security system would have solved all of the McAllister’s problems, it would have made for a terrible movie! We’ll keep Home Alone a classic movie that utilized unconventional security measures, but for your home you should be more proactive. Fifteen Alarms in Memphis would love to help you with your home’s security system—we have low rates, no contracts, and we can use your existing system! Leave the homemade booby traps to Kevin McAllister, and give your home real protection with a new home security system.